For anyone following trucking news, when the Mandate for Electronic Logging Devices went into effect on December 18th, 2017, it was a day of controversy. The ELD Mandate has been an Obama era proposed legislation which the trucking industry was now hoping to stall with Donald J. Trump settled in office. Donald J. Trump has promised big things for transportation, including the $700 billion trucking industry while campaigning. Several polls found that truckers heavily favored a Trump presidency, and the candidate also received more financial backing from trucking companies and organizations than his opponent Hilary Clinton. In a July survey of more than 3,400 truckers by Overdrive magazine, 75% of them said they would vote for Trump in the election. While supporting a Trump candidacy the trucking industry was hoping for the reversal of several Obama era legislations which impact the commercial transportation industry. The big ticket truckers were after was the ELD Mandate. 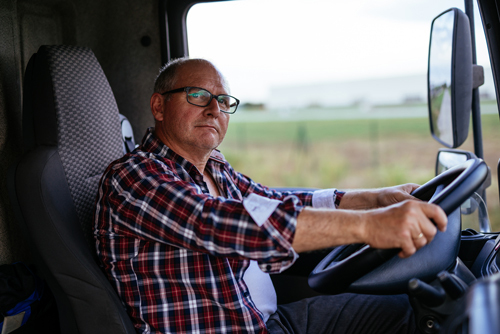 The industry did not want truck drivers to be monitored electronically versus a paper log on the maximum hours they are allowed to spend behind the wheel. Paper logs have been around for 75 years but are also much easier to falsify, unlike ELD’s. However, the ELD rule took effect as scheduled in December 2017 leaving trucking industry hopefuls disappointed. Truckers are in need of regulatory relief and hoping that through social media campaigns, their arguments will be heard by the president, whom they overwhelmingly voted for. ELD’s aside, the Trump administration has been reversing Obama era regulations affecting the transportation industry. Sleep apnea testing for truck drivers has been scrapped. Truck drivers and train engineers will no longer have to be tested, leaving fatigue behind the wheel as a major risk. Also, there are no longer requirements for automatic emergency brakes on trucks, trailer underride, and the installation of speed limiting devices. In addition, the Trump administration has taken steps in rolling back Auto Fuel Standards. Trump’s Team has been promising a massive $1 trillion plan to modernize the nation’s highways, bridges, water pipelines and airports, along with scrutinizing the North American Trade Agreement as “unfair” to Americans. They’ve also encouraged more domestic oil production and ultimately a decline in gas prices by greenlighting drilling projects such as Keystone XL and DAPL. The Owner-Operator Independent Drivers Association (OOIDA) is not pleased to say the least. They are requesting Donald J. Trump meet with them personally to hear the arguments straight from the everyday hard working truckers in need of regulatory relief. The OOIDA’s acting president Todd Spencer penned a letter addressed to the White House on February 5th, and is asking the president to do just that, meet the hard working men and women of the Trucking Industry. While praising the Trump administration for doing a remarkable job “rolling back several excessive trucking regulations,” professional drivers are perplexed and disappointed that their shouts of relief from the disastrous ELD mandate have not been embraced by the White House. “This $2billion Obama-era regulation is the most costly, disruptive and controversial trucking mandate in the history of our industry.” The letter is nothing more than a cry for help, hoping the real truck drivers will be given a chance to be heard by the president. The Trucking Industry is arguing that while the vast majority of truckers helped Donald J Trump get elected, he’s mostly met representatives of large companies in the industry. OOIDA Members are encouraged to use the power of the social media and use the hashtag #meetREALTruckers on Twitter and to tag @POTUS on both Twitter and Facebook. The #meetREALTruckers Campaign has been taking off on Twitter. Will the 45th POTUS oblige? We’ll definitely stay tuned.